This page to be updated as and when I've read a new book. 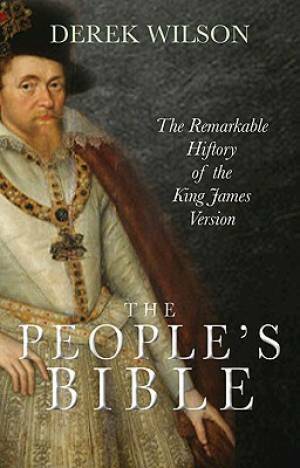 The people's Bible (Derek Wilson): A not too stretching introduction to the lead up to, production and impact of the King James Version of the Bible. A good overview therefore of the development of translations with some great quotes from reformers included. A healthy recognition too of some of the faults of the KJV which should keep us from idolising the translation, but instead worshipping the God whose word it records. Worth buying if you don't want to wade through a 400+page tome. The Case for Christ (Lee Strobel): Finally read this - a fantastic resource for those who take an evidentialist approach to apologetics. A highly regarded journalist interviews world experts on the reliablity of the gospels, assessing the person of Jesus and the evidence for the resurrection. One for every Christian to read an gain confidence in the face of the new atheism and the radical critics, but not forgetting that it is the profound content itself that convinces Christians that Jesus was divine and the gospels inspired. The Case for Faith (Lee Strobel): Worth buying for the many uesful insights, but I was far less impressed by this book in which Strobel interviews key apologists for the Christian faith. They regularly go beyond scripture in seeking to nail every objection put to Christianity and rely too heavily on free will arguements which suggest God is somehow dependent on us. There seems to be no concern to answer the fact that he could have ensured both free will and a perfect world, but didn't, or to affirm that there are things about this infinite God's purposes that we cannot grasp and must simply trust. 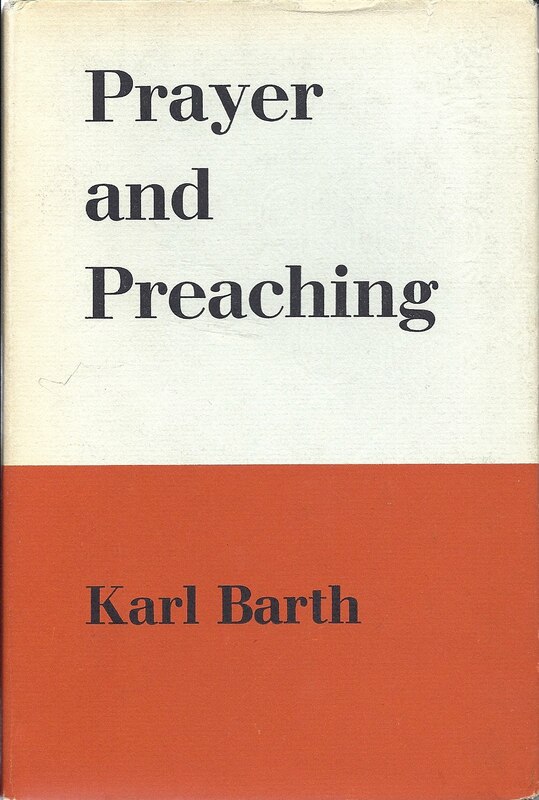 Prayer & Preaching (Karl Barth): This is my first venture into Barth, and it was a refreshing one. The section on preaching is useful, insightful, in many ways ahead of its time, and only hinting at Barth's questionable distinction between scripture and God's Word. The section on prayer is even better - a mine of wisdom and quotes as he expounds the Lord's Prayer with particular reference to Luther and Calvin. This half is worth seeking out and reading more than once. It must be one of the best works on the subject. Life together (Dietrich Bonhoeffer): A classic by the German theologian martyred by the Nazis that outlines principles for community learnt at the serminary of which he was head. It is worth buying for the chapter on 'Ministry' which is applicable to all church contexts. It humbles the reader, cuts down any pride or judgementalism, affirming the virtues of restraint in speech, gentle service, readiness to listen, active helpfulness, bearing with one-another, and (so often missed) the need to speak of God's truth to each other. This chapter is worth publishing or printing as a stand alone booklet. Calvin's Doctrine of the Christian Life (Ronald Wallace): I read this some months ago. It is worth its weight in gold. Though a description of Calvin's work it edifies the soul by setting out his profound biblical wisdom especially with respect to our union with Christ, the centrality of 'order' to Christian living, and the perspective of the world to come. This is one to read again and again, going far beyond standard works on sanctification. The Elder (Cornelius Van Dam): Perhaps the definitive work, defining eldership as representatives of God's people commissioned with preserving and nurturing life in the covenant community. Fantastic in showing continuity with Old Testament eldership which is key in seeing the role of elders in effectively governing God's people, and advising, judging and disciplining as well as teaching. The material on discipline was particularly helpful. Could have had more on the role of elders as stewards who lead and manage, as these are topical topics today - and on their call to pray. 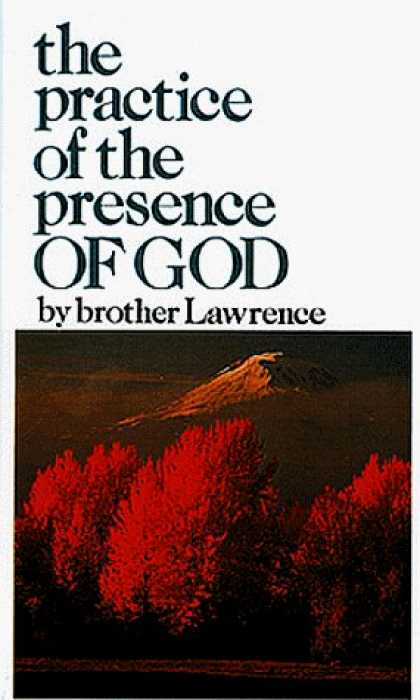 The practice of the presence of God (Brother Lawrence): This was a pleasant surprise. I expected mysticism, but got an implicit critique of it. The stress is not on rules or techniques for prayer, but on living the day in awareness of God's presence, regularly pausing to offer him adoration, thank him for or pray for whatever is being faced, renouncing all that is placed above him and relying on him for grace throughout. Talk of Christ and scripture are somewhat absent, but this thirty page book is refreshing and practical. God's undertaker (John Lennox): Perhaps the best demolishion of Dawkins and those like him. Lennox clearly distinguishes between science and the various philosophies that govern how it is viewed. This book does not put forward a correspondence between a particular understanding of Genesis 1-2 and science, other than in giving praise-elicting evidence for the intelligence lying behind the design of our universe. 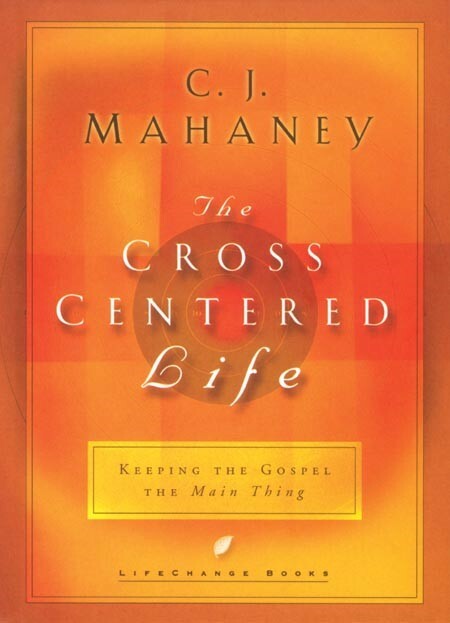 The cross-centred life (CJ Mahaney): Short, to the point and applied. A refreshing tug back to the cross being central to our spirituality - how it should keep us from condemnation and legalism, how to keep it central and keep perspective by preaching it to ourselves. This is one for every Christian, new and old, to read once a year. The Prodigal God (Tim Keller): A fairly short exposition of the prodigal son with its correct focus on the elder brother. Keller incisively reveals the traits of moralism in those within or without the church. This should be read by every Christian (and especially Christian worker) who properly wants to grasp (and minister under) God's grace. Things God wants us to know (Roger Carswell): Again, one of the best give-way evangelistic books. Short, punchy, engaging, persuasive and attractively laid out. The gospel explanation does get a bit jargony and over-complex for the totally unchurched. So I would recommend it most for Prodigals. The reason for God (Tim Keller): Heralded as the new CS Lewis, Keller's book is a masterful defence of Christianity. It shows the inconsistencies within the critiques put to Christianity, whilst giving biblical answers to the key questions. It is for the more intellectual reader and the second half on the gospel could be simpler. But it really is very very good. And unlike many such books, attractively laid out, making it suitable as a present to a friend or family member.